COBB Tuning Cylinder Head SUBARU - Dezod Motorsports Inc - Home of the automotive performance enthusiast since 2002. Offered as a service for those that wish to rebuild and improve the cylinder heads during an engine rebuild, the COBB Tuning Stage 1 Cylinder head package is an affordable solution for those not requiring fully ported cylinder heads. This package is only available if you send COBB Tuning your Cylinder heads directly. Once received, your cylinder heads will be fully disassembled, cleaned and inspected. Please note the pricing does not include replacement of any items not normally replaced when servicing cylinder heads. These additional costs might include. but at not limited to, replacement of valves if damaged or fatigued valve springs. We will communicate with you before completion if we notice any additional costs may be involved. Please note the porting is mild, and does not replicate what we can do with our CNC ported heads. Cylinder heads are shipped back fully assembled, blueprinted and ready for install. Turn around time is normally 2 weeks from date parts arrive at our factory. Please plan your build time accordingly. 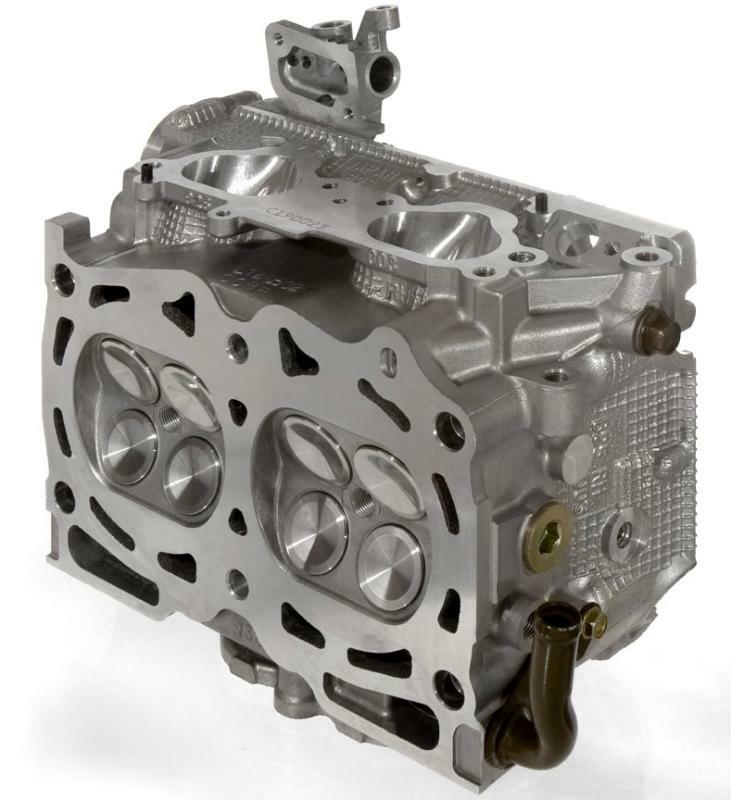 Born from our original Subaru cylinder head program which started back in 2000, we are now proud to offer our own CNC ported cylinder heads. Based on a long proven port design and validated through countless hours of flow bench testing, virtual and real-world testing, and proven results on race projects including Pro Rally and Touring car. Finally, after nearly 2 years of development, refinement and testing we are proud to say our CNC ported cylinder heads are superior to all cylinder heads currently available surpassing even our own prior offerings. COBB Stage 2 Cylinder Heads use valves 1mm larger in diameter than stock. In addition, the exhaust valves are made from Inconel which can handle higher temperatures. The lead time for this package is normally 0-2 weeks. Please plan your build time accordingly. Cylinder heads are shipped assembled. We can set valve lash if you supply your new or used camshafts for an additional $250. Additional costs may be necessary when setting up valve lash in the event buckets are needed.